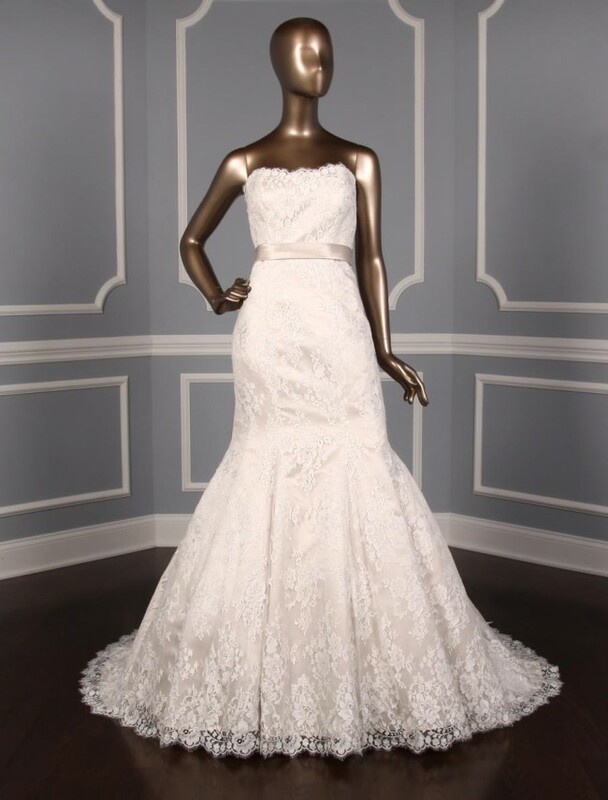 This Allure Bridal 9117 wedding dress is Brand New and has its hang tag attached! The gown can be worn strapless, or if you like you can add the included spaghetti straps. Either way, the gown is gorgeous and comfortable to wear for hours and hours. The champagne lining shows through the ivory lace giving the Allure wedding dress a soft touch of color. This wedding dress is strapless with a luxurious champagne satin sash at the waist, a trumpet silhouette and a chapel train. If you prefer, the champagne sash can be removed. For your peace of mind, we have a wonderful no risk return policy! 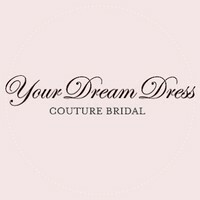 Actual Gown Measurements: Bridal Size: 14 (fits like a daywear size 14) Bust: 39 ” (*please note, this is not the same as your bra size) Waist: 32” Hips: 41.5” (If your hip measurement is ″ or less, this gown will work for your figure) Hollow to Hem: 61 1/2″ *Always compare your measurements to the measurements above, since bridal gowns usually run 1-2 sizes smaller than daywear.